Blame Facebook. The social networking giant's Messenger application has been touted by many as the holy grail of customer communication and many large companies have looked to leverage the app to connect with its user base in increasingly inventive ways. Mastercard Inc, for example, launched Kai, a bot for banks that makes it possible for Facebook Messenger users to check activity on their credit, debit and loan accounts and set up financial-management tools, the Wall Street Journal reported recently. 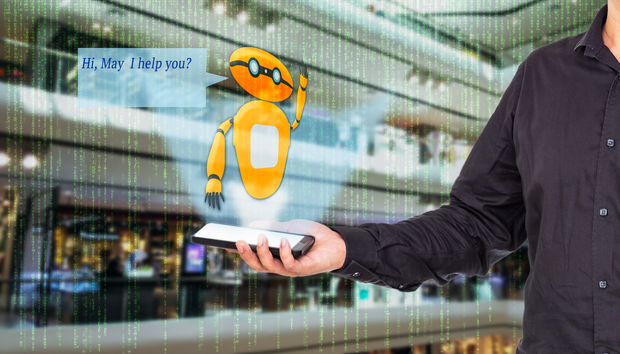 Another Mastercard bot for merchants lets customers make purchases by sending a Facebook message and paying with Mastercard’s digital wallet. Given that Facebook Messenger had zero bots in February 2016 and over 18,000 by July, according to Katy Keim, CMO at Lithium Technologies, the power of Facebook in this space is difficult to ignore. “It took WhatsApp seven years to reach a billion users, but Facebook Messenger achieved this in less than five. So it’s definitely growing, but the technology is still rough, however, with a lot of incorrect information being shared and disappointed end-users. It shows a lot of promise, but there’s still a long way to go,” she says. Toby Barnes, Group Product Strategy Director at AKQA, says that what makes Facebook’s foray into chatbots so interesting is that it not only launched a bot infrastructure but recently opened up its development tools to the public, making it incredibly easy to build simple bots, without any experience or coding skills.